Slim, thin and light – Kenwood’s Newest TK-2400/3400 is supremely easy to handle and to operate. especially for inventory control and service industry operations. please download the product brochure. in construction, manufacturing, warehousing, retail, hospitality, facility management and rental fleet applications. (UHF/VHF MODELS) and such features as QT/DQT signaling, multiple scan functions and a voice inversion scrambler. voice announcement, and a large display with adjustable brightness for simple operation, day and night. 25 and 50 watt models. 16 channels, and 8 character display. The channel names can be programmed to identify security, support, operations, etc. 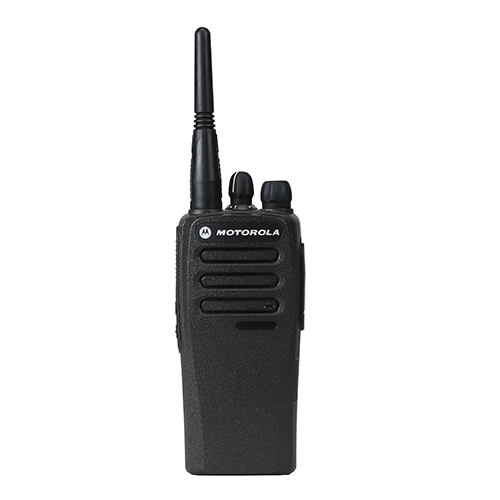 The VHF CP185 portable has a voice scrambler for more secure communications and VOX for voice operated transmit. Capable of repeater use for longer range and can be programmed for 2 watt channels that do not require an FCC license.